As an important role in economic development in China, industrial parks have consumed plenty of energy, while emitting enormous air pollutants and discharging large quantities of waste heat. Energy cascade utilization is an effective way to improve the energy efficiency of industrial parks. 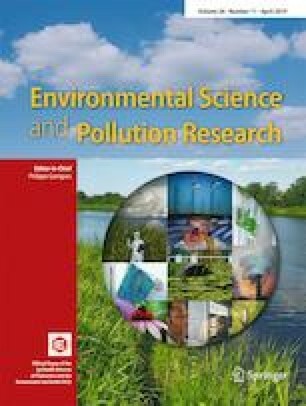 The objective of this study was to assess the co-benefits of energy cascade utilization, including the energy savings potential, reduction potential of air pollutants, and air quality improvements, in an industrial park in China. Through an energy flow analysis of steam at different pressures and residual gas among various enterprises, this study identified the existing energy cascade utilization network in a baseline scenario and proposed an enhanced scenario. To evaluate the co-benefits of these two scenarios, the CALPUFF model was used to integrate energy savings and air pollutant mitigation for the park in 2017. The results show that energy cascade utilization can result in considerable co-benefits related to energy conservation, air pollutant emission reductions, and air quality improvements. In the enhanced scenario, the total energy savings potential is 11,425 TJ, with emission reductions of 859 tons of SO2 and 910 tons of NOx. Based on the CALPUFF simulations of SO2 and NOx diffusion in the four seasons, the concentrations of SO2 and NOx in the study area considerably decreased in the enhanced scenario compared with those in the baseline scenario. This study demonstrates that the park should focus on the cascade utilization of waste heat and residual gas to improve the energy utilization efficiency and reduce atmospheric pollutant emissions. • Energy cascade utilization chains in a complex industrial park are analyzed. • Steams of different pressures (high- to low-pressure steams, 9.8 to 0.4 MPa) and residual gas are used for energy recovery among different industries. • The CALPUFF model is used to simulate the concentrations of air pollutants under different energy utilization scenarios in an industrial park. The online version of this article ( https://doi.org/10.1007/s11356-019-04932-6) contains supplementary material, which is available to authorized users. This study was supported by the Energy Foundation for Evaluation and Upgrading Scheme of Circular and Low-carbon Industrial Park in Henan Province: A case study of Yongcheng Economic and Technological Development Zone (G-1709-26857).